An unforgettable puzzle adventure! Get to the ball before the wicked sisters! 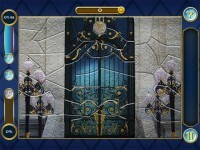 Get ready to set off on an unforgettable puzzle adventure with Fairytale Mosaics: Cinderella! A random meeting on a forest path with a handsome young man leaves you wondering if it could be the prince himself! On your journey, you'll meet four-legged friends and a fairy godmother in a fantastic setting. They'll help you get ready for the yearly ball – the most important event in the Kingdom!There's so much to do! Assemble colorful jigsaws to transform the pumpkin into a carriage and find the glass slippers. Outwit the wicked sisters and the queen, who want to stop you getting to the ball. Fairytale Mosaics is the best gift for puzzle fans. It has 100 unique puzzles based on your favorite story. Overcome 5 challenges to meet the handsome prince! An unforgettable puzzle adventure with Cinderella! 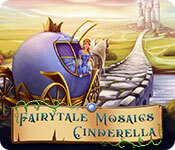 Tell someone about Fairytale Mosaics Cinderella Mac Game!